Chill with the penguin at Ocean Park! 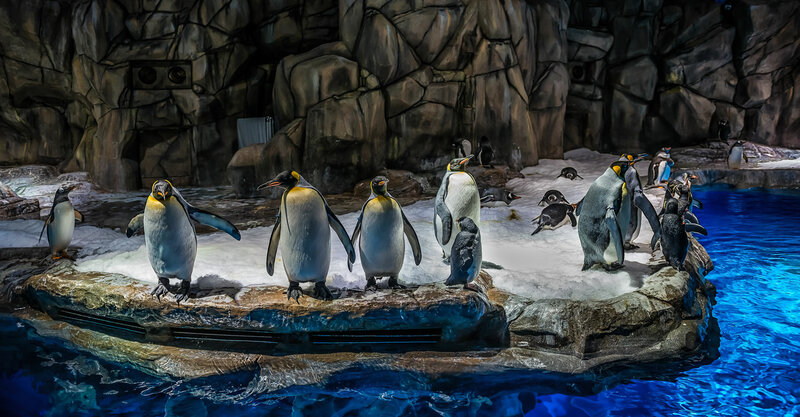 Don’t miss out the opportunity to get a close encounter with the penguin behind the scenes. 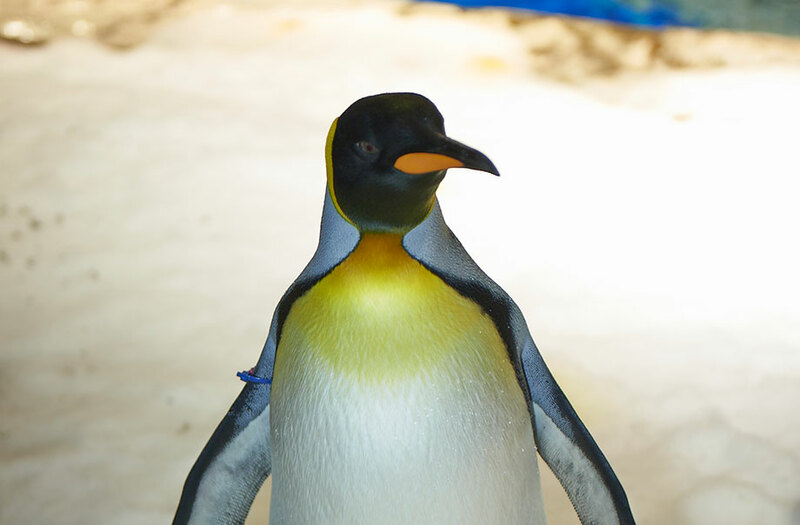 Our new “Meet the Penguin” programme brings you to have interactive game with the penguin. 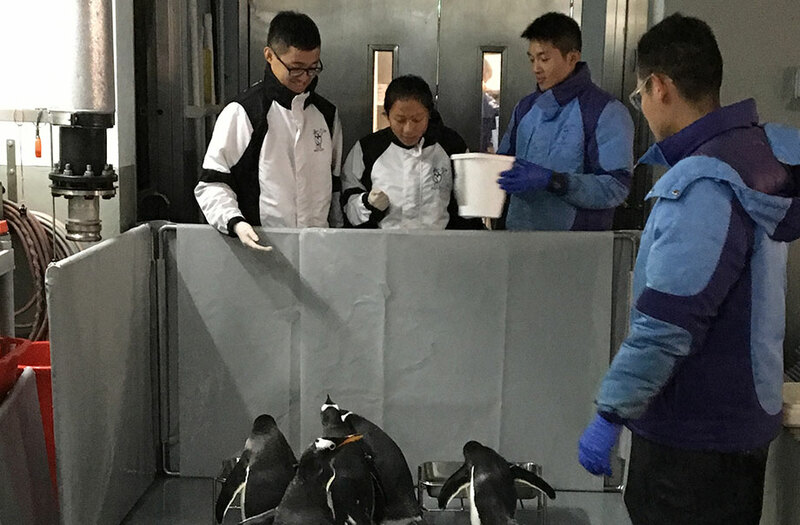 You could also feed the penguin and listen to our keeper’s professional sharing. 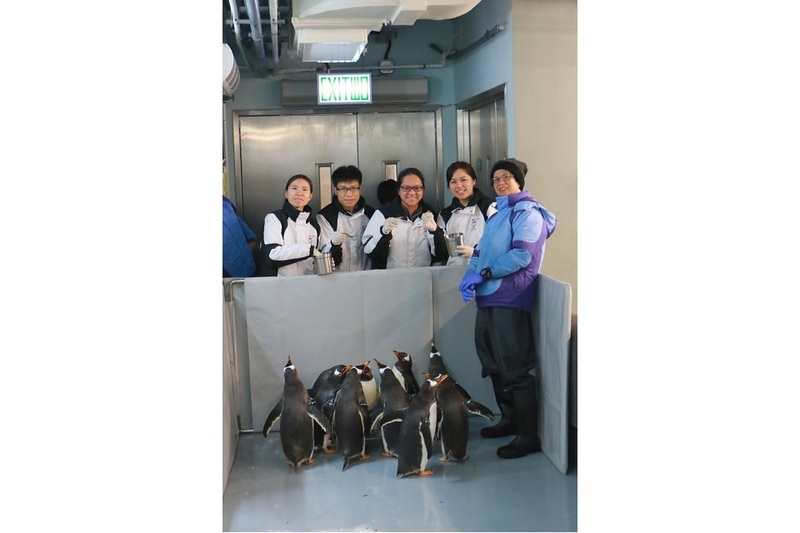 Making this a memorable family event and having your kids to learn more about penguin! So don’t wing it – book now. The activity venue is approximately 8°C. Working suit, including boots & surgical gloves, will be provided. Participants are advised to bring a pair of thick socks. Participants must be aged 3 or above. Eligible participants (aged 3-11) must be accompanied by a paying parent/guardian who satisfies all programme requirements. 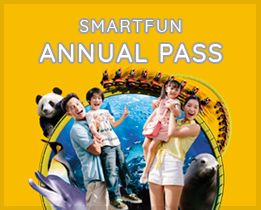 (Each parent/guardian can accompany a maximum of two aged 3-11 eligible participants). Eligible participants (under the age of 18) meeting these requirements must have their parent/guardian complete and sign the health declaration form & liability release. Not suitable for any person who is pregnant. 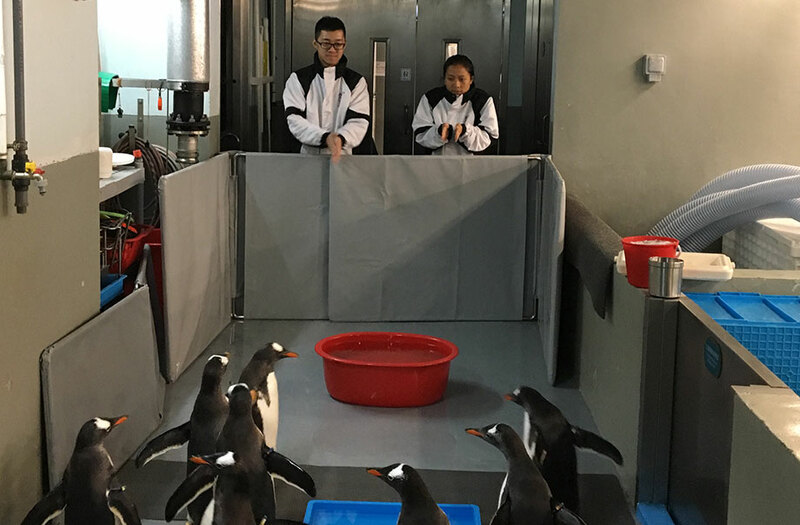 Remarks: During the penguin breeding season, programme capacity will be adjusted. For the health and safety of all participants, staff and animals, every participant must meet the following criteria in order to participate in the programme. 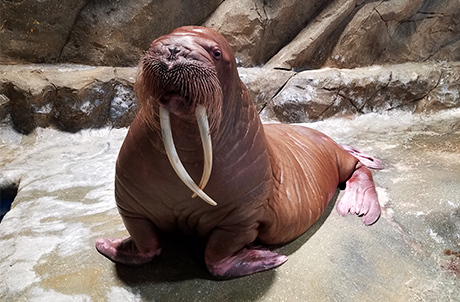 Participants must be aware that such porgramme involves a degree of unpredictability, where quick reactions and strict attention to directions from the Park’s staff are essential. If at any time during the programme any participant is assessed by the Park’s staff as not being able to fulfil the following criteria, he/she will be asked to leave the programme and he/she must immediately comply with such directions. Participants must be aged 3 or above years. Both adults and children are welcome. Eligible participants (aged 3-11) must be accompanied by a paying parent/ guardian Remark 1 who satisfies all programme requirements. A parent/guardian can accompany a maximum of two aged 3-11 eligible participants. Eligible participants, or in the case of participants under the age of 18, their parent/guardian must sign a Liability Release before commencing the programme. 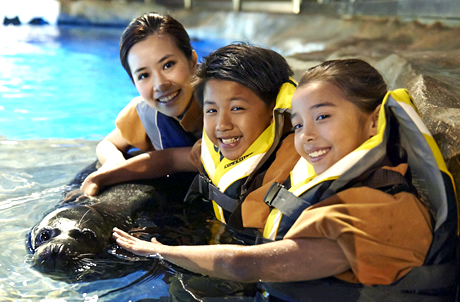 Participants must at all times strictly follow every instruction given by the Park’s staff to the satisfaction of the staff giving the instruction. Any unnecessary accessories must not be worn and participants must wear all provided clothing, including boots & surgical gloves, before they enter and at all times whilst in the activity venue. In case of emergency, participants must be able to quickly exit the activity venue under the guidance of Park’s staff. Participants must not be suffering from any infectious disease Remark 2 specified in the First Schedule to the Prevention and Control of Disease Ordinance (Cap 599 of the laws of Hong Kong SAR). Participants must not have come into contact with any bird species in the previous 8 hours. Participants who are suffering from any disease (including, but not limited to, fever, coughing, cold/flu, nausea, diarrhoea, vomiting, skin disease, heart disease, lung disease, haemophilia, epilepsy, fainting/giddiness/loss of consciousness when in close contact with animals, phobia of water or animals, allergy to fish or depressed immune mechanisms), under the influence of medication and/or alcohol are not recommended to participate in this programme. No device or equipment (including camera and recording device) is to be taken into the activity venue without the prior permission of the Park’s Supervisor. The Park’s staff shall at all times have the full and final right to determine whether any participant is suitable for the programme and may refuse entry if refusal is necessary to ensure safety or order. If the Park’s property is found to be lost or damaged during the programme, reimbursement in full cost must be made by the participant. 1 : ‘Guardian’ has the same meaning as in the < Guardianship of Minors Ordinance >. 2 : These diseases include acute poliomyelitis, amoebic dysentery, anthrax, bacillary dysentery, botulism, chickenpox, chikungunya fever, cholera, community-associated methicillin-resistant staphylococcus aureus infection, creutzfeldt-jakob disease, dengue fever, diphtheria, enterovirus 71 infection, , food poisoning, haemophilus influenza type b infection (invasive), hantavirus infection, influenza A (H2), Variant Influenza A (H3N2), influenza A (H5), influenza A (H7), influenza A (H9), Japanese encephalitis, legionnaires’ disease, leprosy, leptospirosis, listeriosis, malaria, measles, meningococcal infection (invasive), mumps, paratyphoid fever, plague, psittacosis, Q fever, rabies, relapsing fever, rubella and congenital rubella syndrome, scarlet fever, severe acute respiratory syndrome, Severe Respiratory Disease associated with Novel Coronavirus, Shiga toxin-producing Escherichia coli infection, smallpox, streptococcus suis infection, tetanus, tuberculosis, typhoid fever, typhus and other rickettsial diseases, viral haemorrhagic fever, viral hepatitis, west Nile virus Infection, whooping cough, and yellow fever. 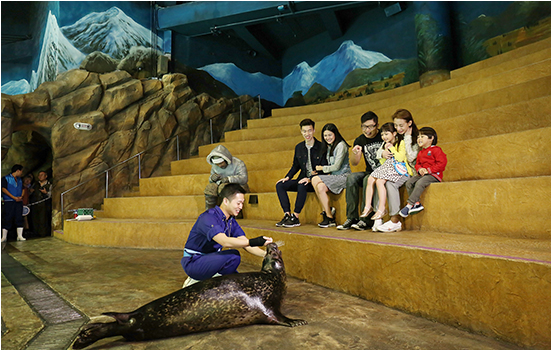 • In-person at Ocean Park Main Entrance Ticketing Office: a minimum of 1 day advance booking before 5 p.m.
• Subject to availability at the time of application. Apply in person at Waterfront Gifts, Ricky’s Shack, Shutters, Rainforest Gift Shop and The Lodge before 1:00pm. Please arrive at the gathering point on time. Latecomers might not be admitted to the programme. The participant’s name, confirmation letter and the credit card used for payment should be presented for verification on the date of visit. No direct contact with our animal will be offered during the programme. If you do NOT wish us to use Your Information in direct marketing, please tick (“”) the box in this form or inform our Guest Relations Manager via telephone to exercise your opt-out right. You may also write to us at the address below, call us at (852) 3923 2323 or contact us via the contact information provided in our direct marketing materials to opt out from direct marketing at any time. Subject to availability at the time of application. Apply in person at Waterfront Gifts, Ricky’s Shack, Shutters, Rainforest Gift Shop and The Lodge before 1:00pm.